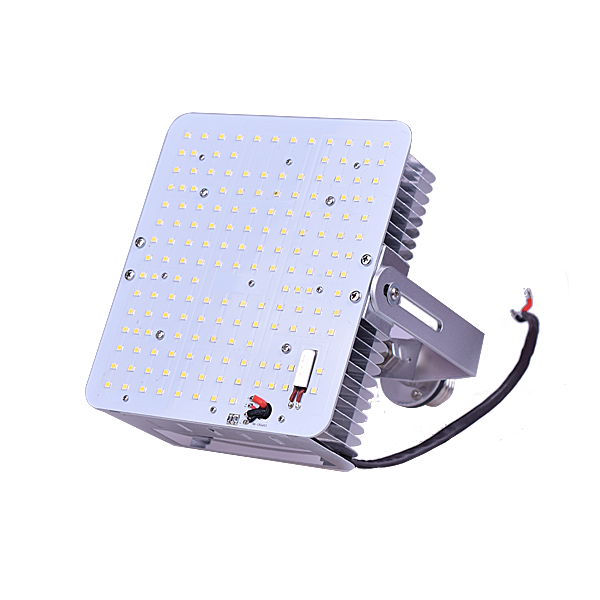 Parking lot lighting retrofit LED replacement is designed to meet the needs for parking lot lighting，high bay lighting,high mast lighting etc., replacing 200W-400W MH HPS HID lamps. 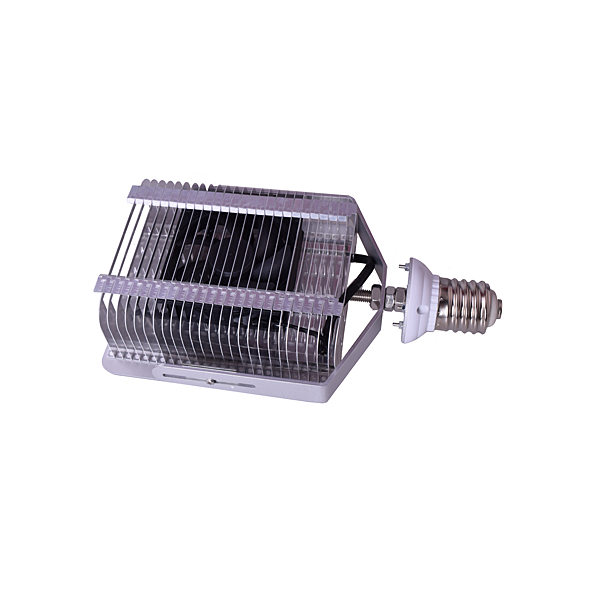 It is customized for shoe box fixture, high bay fixture, wall pack fixture as well as gas station canopy fixture etc. 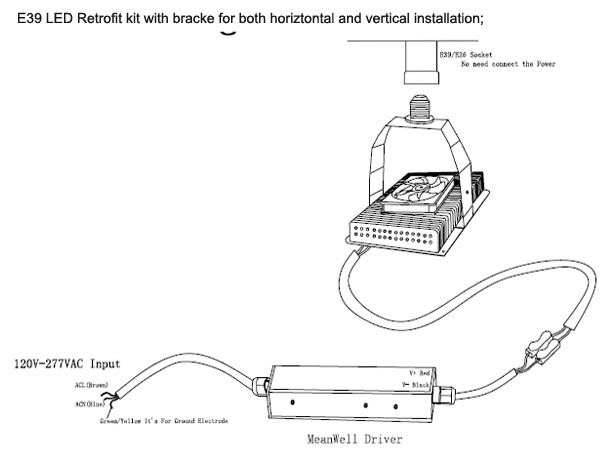 2)IP65 driver UL Meanwell driver. 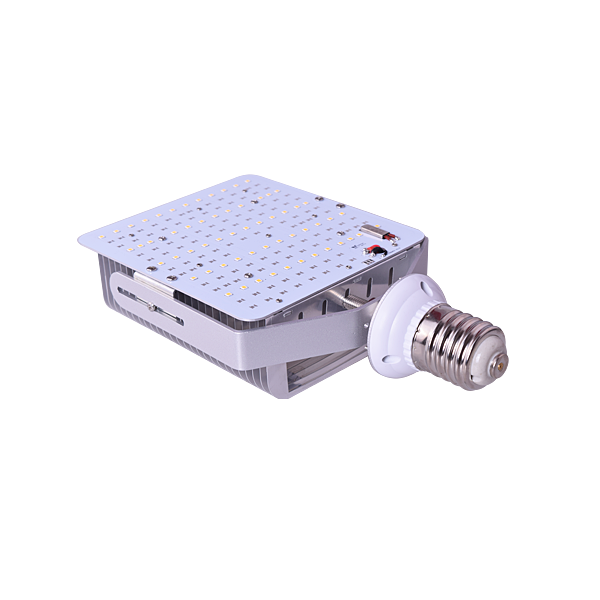 4)with flexible bracket for both horizontal and vertical installation. 5)built-in over temperature protection IC. 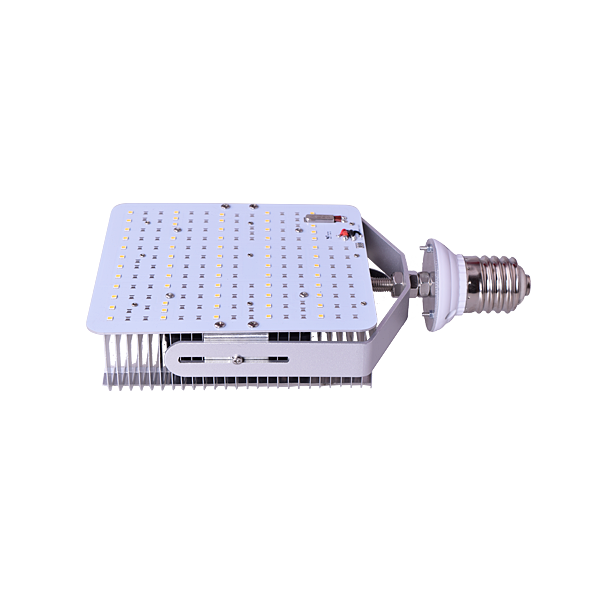 LED retrofit kit is mainly for outdoor parking lot pole top lighting fixture,shoe box lighting fixture, gas station canopy lighting fixture,cobra head street lighting fixture with MH HID HPS lamp.Such as Lithonia KAD Contour Series,GE M250R2 Fixture,Philips Gardco EH-14 etc. Type B for gas station canopy or Scottsdale lighting fixture with vertical installation, it require short base to fit in, and the driver can be put behind the reflector inside. 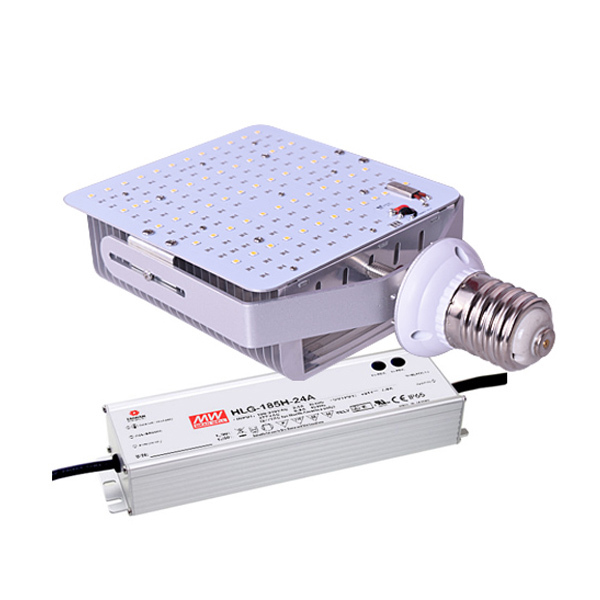 Type C for high bay lighting fixture, as most of the high bay fixture ballast metal box is too small to place in the Meanwell driver, and wire is tricky, so a screw-in LED retrofit kit required, with driver mounted on the bracket already. UL CSA DLC CE ROSH etc. Parking lot shoe box lighting/area lighting/street lighting etc. 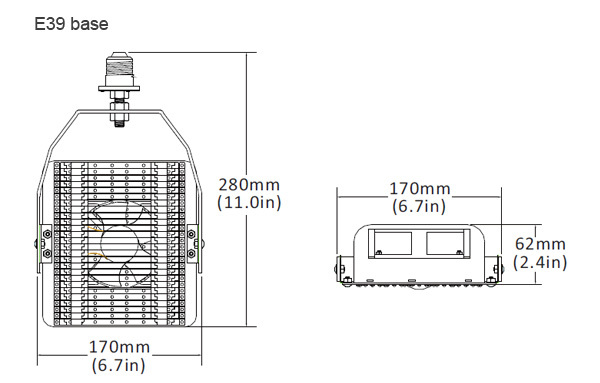 Please remove any ballast or transformer before install it.